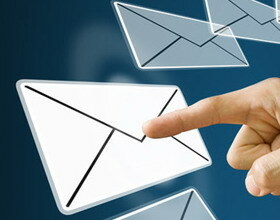 Email is one of the most powerful tools that a business can harness to reach their customers. An email marketing campaign is a great way to get your message across in a form that you can almost guarantee will be read by the customer. In our ever more tech-focused world, people spend more and more time connected to the internet and will check their emails a great number of times throughout the day. An email marketing campaign has the power to reach people instantly, no matter where in the world they may be. But it’s not enough for businesses to just send out the email, then sit back and wait for a response. You have to be sure to catch people’s attention too, and turn them into new or repeat customers. Here are some tips and tricks for interesting people with your email marketing campaign. Don’t get caught up in the spam folder. Many internet service providers are trapping unsolicited emails before they reach their customers’ inboxes by using stringent spam protection methods. These methods assess the content of the email, and certain emails will be flagged as spam and deleted before the customer even sees it. To avoid getting caught up in the spam folder, be sure to stay away from using words such as ‘free’, ‘$$’ or ‘discount’ in your subject line and the main body of the email, as these are terms regularly found in spam emails. Make your emails personal. A customer is far more likely to read an email that is addressed directly to them personally – by name – than one that just says ‘dear customer’. When you address a customer by their first name, or start your email with ‘hello [subscriber_name], you will be creating a connection with the customer that will make them feel warmer about your brand and more likely to want to do business with you in the future. Offer something special. Customers will be far more likely to open and read your email messages if there is an incentive for them to do so. By offering a special deal or a product that they can’t get anywhere else – such as a discount code or a download of a free ebook – businesses can increase their worth in the eyes of their email subscribers. Make your emails regular. Another great way to grab and keep the attention and interest of your email subscribers is to send your emails at the same time, every time. Choose a day and a time that you will send out your email campaign – for example, at 1pm on a Tuesday – and stick to this every week. Customers will come to expect your email at this time and reading it will become a habit and part of their day.